John Connor, a lifelong traditional Irish musician, sits in a booth at Porter Belly’s Pub in Brighton, with his son Sean. Sean also plays traditional Irish music in a band called NightSide, following in the footsteps of his father, and his grandfather before. In the Boston area today, it's no secret that there are any number of Irish pubs with live music, and not just on St. Patrick's Day. The scene gives us a glimpse of traditional Ireland, but also the space for new bands to bring that legacy into their own style. 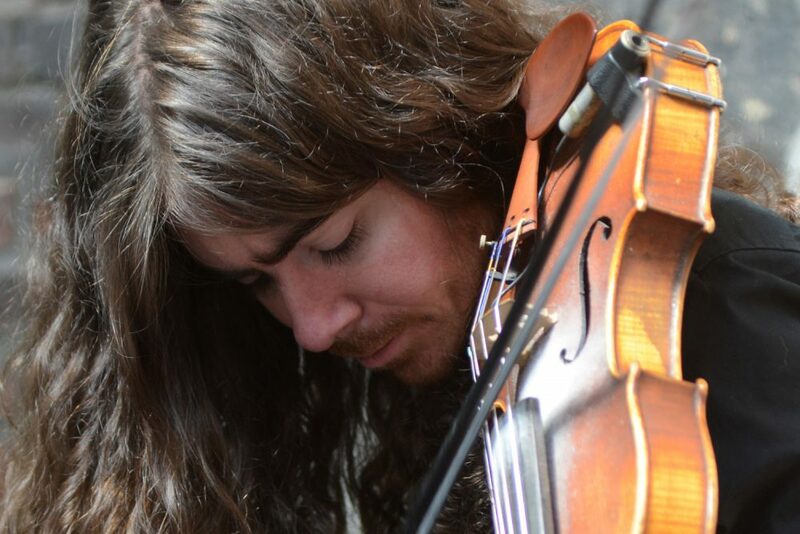 John has been playing since his childhood in Kilmaine, Ireland. Now 66, he's been a U.S. citizen for more than two decades and resides in Milton. He says that music in their family goes back to his grandfather, who played the flute. Sean becomes pensive as his father discusses their family history and the music connected to it. About a half of a block away from Porter Belly’s, Boston native Tommy Sheridan convenes with a group of 20-odd musicians at the Green Briar Pub for their weekly session. 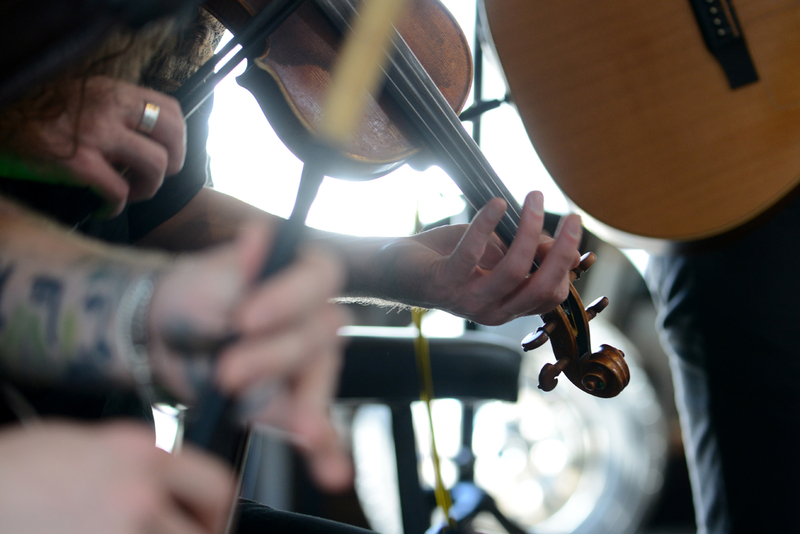 A “session” is a typically informal gathering of musicians to play traditional Irish music. They've been getting together every Monday for the past 25 years here, and Sheridan says The Greenbriar session remains the longest running in the city. Sheridan has been playing the Irish button accordion for 50 years in Boston, and his stories, much like the Connor’s, are a testament to both heritage and family. "My parents were both from Ireland. I’ve been playing this music since 1950, since I [was] about 7 or 8 years old. My father taught me the Irish button accordion," Sheridan recalls. Back then, he remembers playing in a vibrant Irish dance scene at music clubs in Boston. Often incorporating non-traditional instruments like electric guitars, bass and drum kits along with the traditional, Ceili and show bands became the vehicles for traditional Irish music in Boston. So, with the quieting of the music clubs here in Boston, traditional Irish music has returned to its fireside roots. Unlike the show band era of Sheridan's childhood, Sean's band NightSide's take on traditional Irish music sounds closer to how it was played 200 years ago — though they might dress a little different. Sporting a T-shirt with a hard rock music emblem, shoulder length hair and tattoos, Sean and his band personify the new school of traditional Irish musicians in Boston. 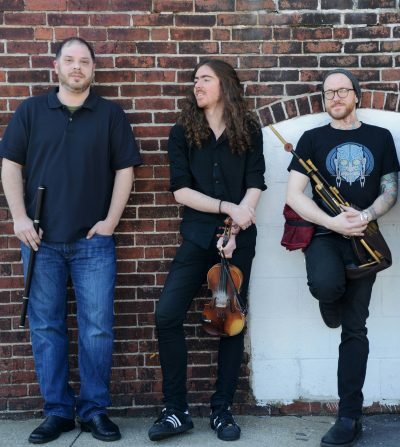 Playing as a four piece with a rotating guitar backer, their core three players are Dan Jalonski on Irish bagpipes, Eric Cox on flute and Sean on fiddle. “We kind of play without regards to whether people are listening or not. It’s the attitude, we're going to play the way we feel is right,” says Connor. With generations of history behind them, many of these younger players aim to breathe new life into this very old music.